Whew! It’s only December 4th, but Christmas is definitely in full swing here At The Picket Fence! Normally we reserve our Sundays here at the fence for our Simply Sunday posts, and don’t worry we’ll still be sharing several inspirational posts during this most special of Holy Seasons! But in order to work in all that we have planned for the Christmas season we hope you’ll forgive us for featuring a project or two on Sundays! For example, these fun and adorable snow globes! I think we’ve all seen by now these mason jar and salt shaker snow globes from Anthropologie. You know the ones that started at $18.00 for the salt shaker (by the way they are sold out of these!) and went up to $38.00 for the large mason jars! In fact a few of you have already knocked off these great little globes. Way back in early November I pinned these knowing that I would be recreating these for my kitchen this Christmas. They couldn’t be easier to make and are seriously cute! I wish I had some complicated tutorial to give you and you’d think I was so clever and ingenious but really they are easy-peasy! Decide on your little display for each jar. For some you might want to remove the plastic bases and place the stems of the trees in small ornaments. You can also add various small ornaments and pinecones at the base of the trees. Once you decide on your vignette for each jar, add snow around the base of the trees and screw lid into bottom of jar. Here is an up close view of the salt shaker snow globes. And, here are some more photos of the snow globes all ready for Christmas in my kitchen! Do you like my DIY tiered tray? Would you believe most of the items are from the Dollar Tree?! I’ll share how I made this in a future post! Here’s some more pictures of the snow globes. Here are the darling salt shaker ones. Did I mention they are $18.00 in the store?! Did I mention they are sold out!? I love the addition of these cute paper cone trees. An easy and free (if you have scrapbook paper around) addition to my snow globe vignette. So do you think I did a good job knocking off the Anthropologie snow globes? How about when you know I saved $17-36 a globe! There are so many other fabulous projects you can do with mason jars during the Christmas season. One that caught our eye was this amazing mason jar advent created by Kristin at Sweet Country Life. Visit Kristin at her lovely blog to see a little more about this delightful sweet country advent, and how they are using it to remind them of the TRUE meaning of Christmas. I am so excited that you got a sneak peek at my kitchen…you’ll have to join me to see the rest this coming Friday when I host the Christmas in the Kitchen portion of the Christmas Blogger Block Party! Thank you for joining us this Sunday here At The Picket Fence. May this first Sunday of Christmas be one of peace, hope and rest for you and your family! Take a moment to remember the WHY of this glorious time of year..friends, family and most importantly FAITH! Don’t forget Debbie will be kicking off the Christmas Blogger Block Party later tonight with her Holiday Copycat Challenge…see you there! This post is partying with…. 38 Comments on "Anthropologie Snow Globe Knockoff"
Thank you so much for sharing my version of our Advent with your readers! I love that we have been able to partner up again on our shared love of celebrating Him. Secondly~ I must live under a rock. Because I have not seen these snow globes. 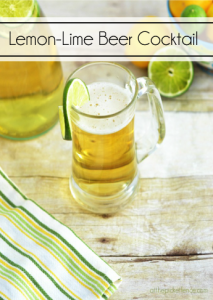 But you can bet your bottom dollar that I will be making these. 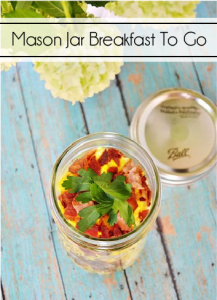 Anything with a mason jar…. Be still my Sweet Country Heart! I love your snow globes! The tablescape looks amazing! 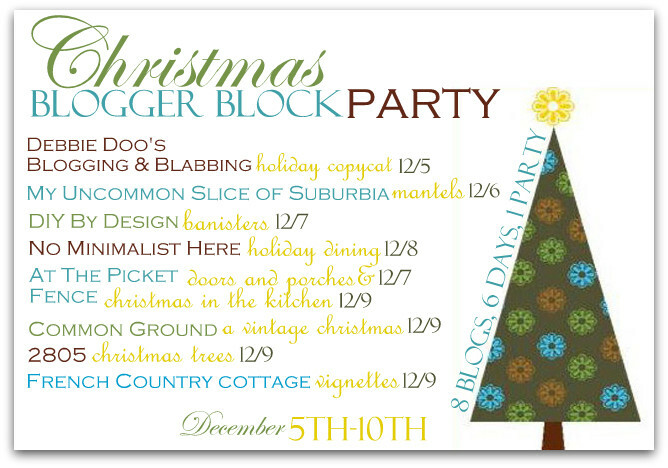 Thanks for rounding up all these amazing Christmas inspired parties! Love this idea, Heather. Yours look awesome. Heather, they look soo cute! I might have to make some too. I’ve seen them all over Pinterest and blogland. Like your tiered trays too. Can’t wait to see the whole kitchen done up for Christmas! Hope you’re having a great weekend. That is so pretty! I love this idea and you did a fantastic job. I started the party early, I saw some gals already had posted theirs so I thought, let’s get this party started! These are awesome! I love the salt and pepper shakers! What a great idea! Your globes are amazing! I can’t wait to see your entire kitchen! How cute are those?! I haven’t been to Anthropologie to even see these, so this is a first for me. I really like your less expensive version. That store can be so high! That makes a nice statement piece in your kitchen for the holidays. Love your snow globe knock-offs, Heather! 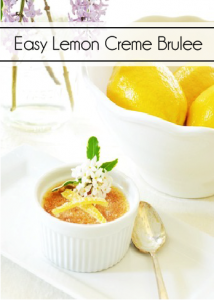 They looks so great sitting on your tiered tray, too! I’m liking everything I can see in these pictures. So cute, Heather! I saw these on Pinterest, too and loved them. Your copycat is wonderful! SO very cute! I bought those darling trees when I saw them in Dollar Tree last week…I wasn’t sure what to do with them till now. Thanks so much for sharing your ideas. I saw your post over at Debbie Doos. I just love these! I can’t believe people paid $18 for those itty bitty ones at Anthro. Holy moly! Yours are fantastic! Ahhhh! Now I want to do this. Honestly, I will never get my decorating done if I keep wanting to copy everything I see in blog land. Oh my gosh, these are so DARLING!!! How clever. So glad I found you at YTTM! These are great…especially, when you think of how much money you saved!! I think they are a great replica of the originals! And they look so pretty in your kitchen!! Your version of the snow globes are terrific! I love the tiny vignettes in the shakers. Love everything. Very pretty. So gorgeous! Got to try this. So cute- love how your globes came out!! I did a copy cat version for Debbie’s party too 😀 I have seen these being linked up for a couple weeks now- they are so darling! That is absolutely beautiful. I love your snow globes better than anything I’ve seen. Very clever, as usual. They turned out soo great! I wanted to make some of these but alas I think it will have to wait till next year. Lovely snow globes! Don’t you love it when you can make it for less- great job! Hi. Thanks. LOVE your jars. I’ve wanted to do these for a while now. I can’t find trees easily. My dollar tree doesn’t have them. Do you know what section at walmart you found them? Because I know that no one at Walmart will know what I’m talking about. Those are sooo cute!… I saw Tracie at Fishtail Cottage had posted about yours, then made one of her own too… so I made one last night!… thanks for sharing, xoxo Julie Marie PS I am here from the party at Ivy and Elephants too! Your version of these turned out so well! I LOVE the salt shakers! Merry Christmas! These are too cute for words! What a beautiful Holiday decoration!